Getting ready for a herb foraging walk on 22nd May as part of Go Neilston – headed over to Neilston on Sunday to check out the herb foraging options in sunny East Renfrewshire. Lots of lovely woodland and river bank to choose from and found some Jack-by-the-Hedge / Garlic Mustard (Allaria petiolata) with a bit of Cleavers hiding in the background. 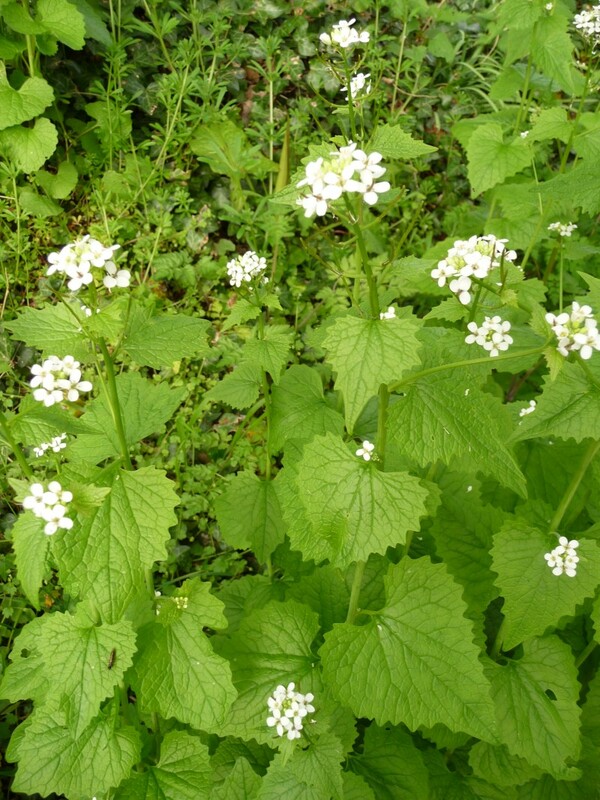 A member of the Cabbage family rather than a true Onion, Garlic Mustard has a distinctive garlicky smell, although not quite as pungent as Wild Garlic (Allium ursinum). Was very impressed by the accompanying 2-year old who asked if it stings – the leaves do look a bit like Nettles – which gives me an idea for a Nettle pesto alternative – Garlic Mustard pesto, mmm.